DeansHall is the perfect accommodation choice if you are looking for summer accommodation in Cork City, Ireland. We are located in the centre of Cork City close to all public transport links and must see attractions of Cork, only ten minutes drive from Cork Airport. We have apartments and rooms available ideal for students, visiting groups, families and individuals throughout the Summer months. 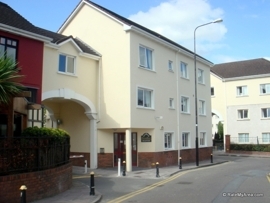 A great location just eight minutes walk from UCC and local amenities such as bars, restaurants and only two minutes walk to the city centre. including: Fridge Freezer, Iron & Board, TV, Cooking Utensils, Microwave Oven, Crockery & Cutlery, Kettle & Toaster, Hob & Oven etc. DeansHall meets all your Self Catering needs! Location: DeansHall Crosses Green Self Catering Apartments are located in a mature quiet courtyard setting adjacent to the historic St. Finbarr’s Cathedral. Error: Error validating access token: Session has expired on Saturday, 13-Oct-18 08:58:49 PDT. The current time is Wednesday, 24-Apr-19 21:27:45 PDT.